Highlighting concealer pens are probably one of my favourite beauty inventions ever! 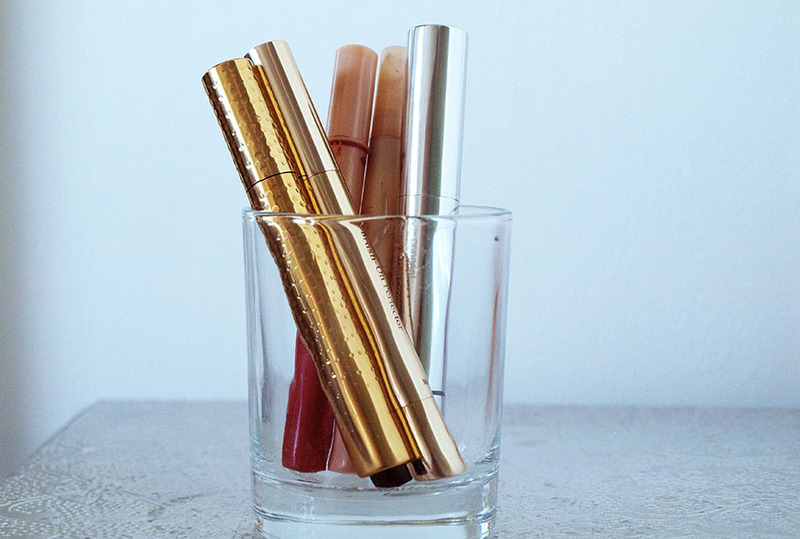 They are super easy to use, perfect for a touch up on the go and totally hassle free. I have a nice selection of these in my makeup stash, from drugstore to high end. Most of them are 2 in 1 products and help to conceal and highlight at the same time. I really like the pens I have tried so far and I think that every girl needs at least one in her makeup bag. 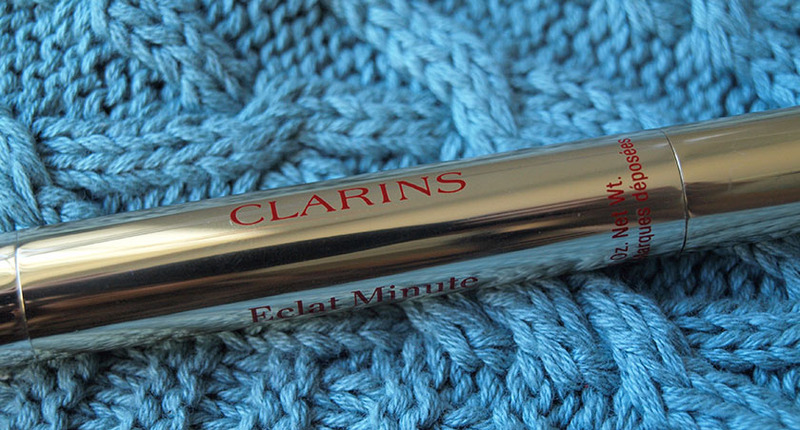 I will start with my favourite from the bunch - Clarins Instant Light Brush-On Perfector in shade 00 Light Beige. It is everything I look for in a highlighting concealer. The formula is very creamy and applies like a dream, giving dull areas of my face a boost of radiance and covering imperfections. It gives medium coverage and reflects light beautifully, creating an illusion of brighter, smoother skin. The formula contains Oat Sugars to tighten the skin, making it perfect for tired looking eyes! The packaging is very luxurious and the mechanism works perfectly every single time, dispensing the right amount of product. This product is an actual concealer and gives really good coverage. I use it when my dark circles are really bad and I also camouflage nasty breakouts with it. As you can see on the swatch above, it is very pigmented, so one light brush stroke is enough to conceal anything, without looking cakey or fake. I am pleasantly surprised with this product and I reach for it very often. You can buy it from www.hairtrade.com who stock NEW CID products. 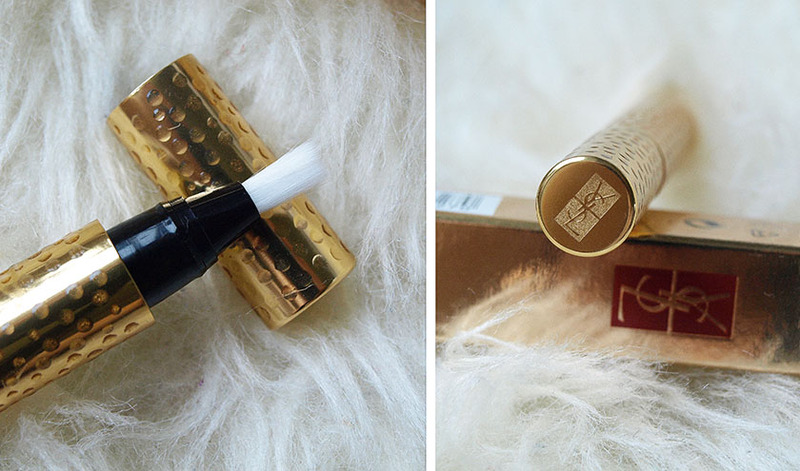 If I want to achieve an illuminating effect, I go for the original YSL Touche Eclat. It does a great job at brightening dark circles and the feather light formula is perfect for all ages. 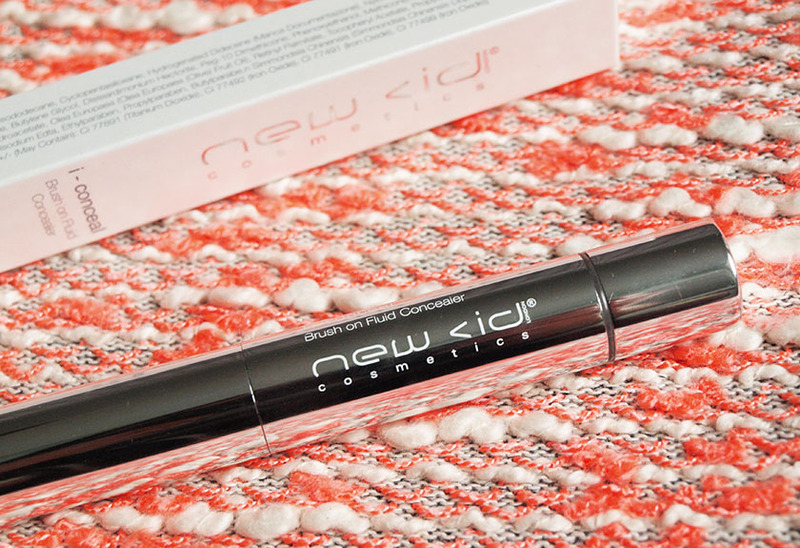 I have some fine lines around my eyes and I haven't noticed any creasing with this product - ever! It is a cult highlighter pen and it has many fans for a reason. I also adore it's packaging and I love carrying it in my makeup bag. It looks very luxurious! Mine is a limited edition design, but the standard packaging is equally gorgeous. 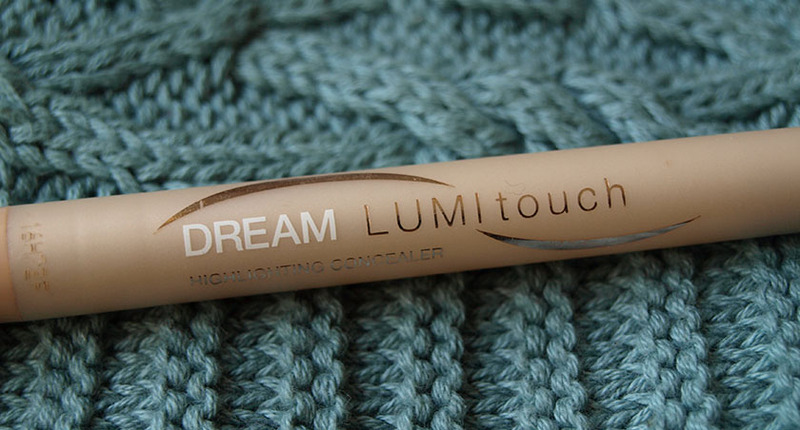 Dream Lumi Touch is the first concealer pen I bought. It is very affordable and I really, really like it. The packaging is on the cheap side, but the actual formula is lovely. It gives medium coverage and feels light on the skin. It can be used to conceal dark circles, redness and blemishes or to highlight dull areas. If you haven't tried this type of product yet, I would definitely recommend starting with this one. I only have a tiny bit left and I will be repurchasing it once it runs out. I use this illuminating pen when I have fake tan on, because it is too dark for my natural skin tone. There are lighter shades available though, so I might pick one up. 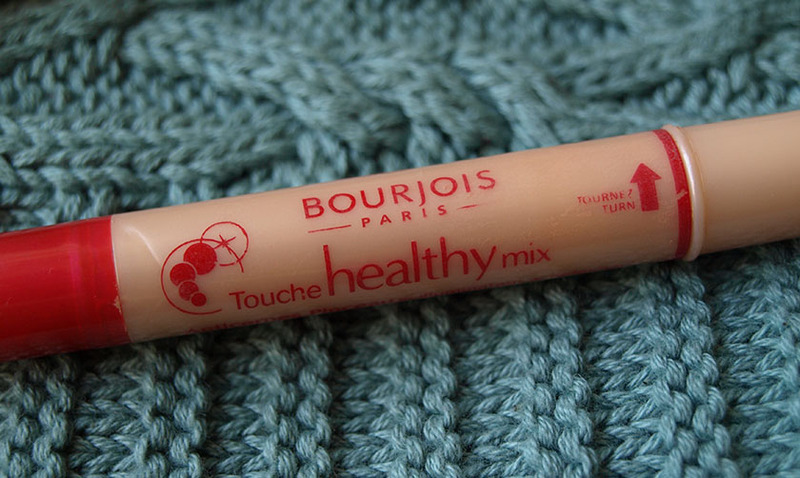 I really like the light formula of Bourjois Touche Healthy Mix - it covers small imperfections and adds a touch of radiance, but you won't be able to tell that it is there. It blends into the skin beautifully and gives a very natural finish. It is also enriched with a special vitamin complex to give your skin a boost. Perfect! 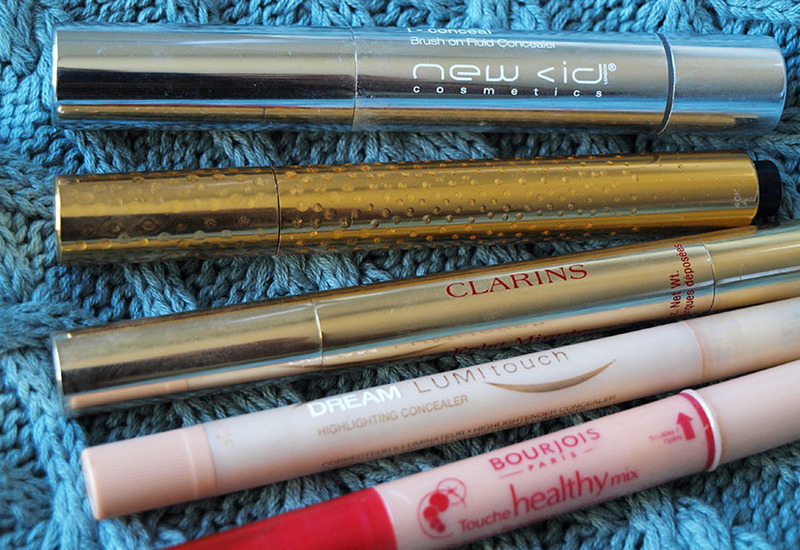 L-R: NEW CID I-Conceal, YSL Touche Eclat, Clarins Instant Light, Maybelline Dream Lumi Touch, Bourjois Healthy Mix. 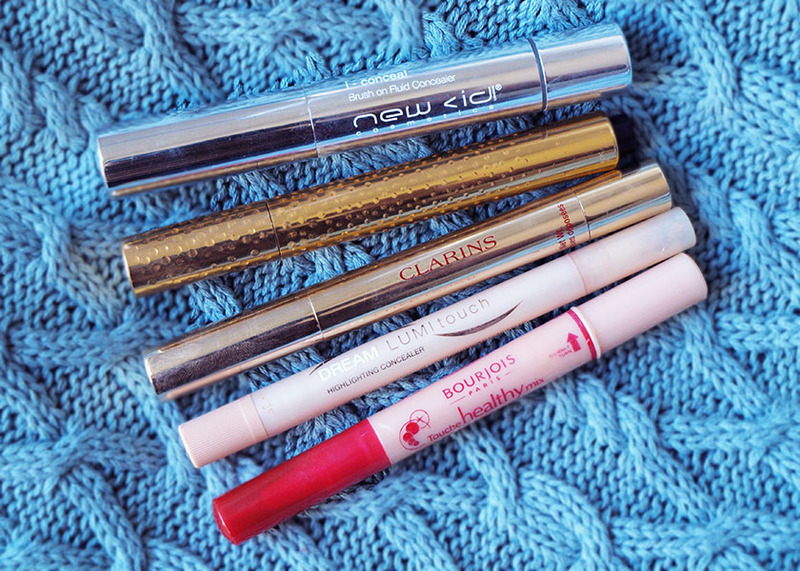 Have you tried any of the highlighting concealer pens mentioned in this post? I would also like to hear your recommendations.